Prostate cancer screening with prostate-specific antigen (PSA) testing may result in a small absolute benefit in disease-specific mortality over 10 years but does not improve overall mortality, according to a systematic review published in the journal The BMJ. The investigators further suggest that these benefits need to be weighed against the potential short and long-term harms of PSA screening, including complications from biopsies and subsequent treatment and the risk of overdiagnosis and overtreatment. Dragan Ilic and associates conducted a systematic review and meta-analysis. to investigate the efficacy and safety of prostate-specific antigen (PSA) testing to screen for prostate cancer. 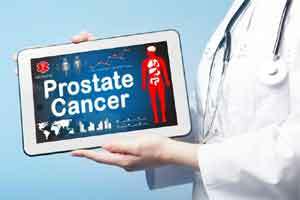 The investigators selected the study which included randomized controlled trials comparing PSA screening with usual care in men without a diagnosis of prostate cancer. Five randomized controlled trials, enrolling 721 718 men, were included. When considering the whole body of evidence, screening probably has no effect on all-cause mortality and may have no effect on prostate-specific. Sensitivity analysis of studies at lower risk of also demonstrates that screening seems to have no effect on all-cause mortality but may have a small effect on prostate-specific mortality. This corresponds to one less death from prostate cancer per 1000 men screened over 10 years. Using modeling, the authors estimated that for every 1000 men screened, approximately 1, 3, and 25 more men would be hospitalized for sepsis, require pads for urinary incontinence, and report erectile dysfunction, respectively. “Based on the moderate and low-quality evidence, PSA screening seems to increase the detection of prostate cancer of any stage, increases the detection of stage I and II prostate cancer, and slightly decreases the detection of stage III and IV prostate cancer. At the same time, it probably modestly reduces prostate cancer-specific mortality but has no effect on overall mortality”, write the authors.